I remember having to drink cerasee, a very bitter bush tea, without sugar or any additives, EVERY SATURDAY like clockwork. My reward would be piece of gum or Fox mint candies. Cerasee is said to be good for worms and blood cleansing. 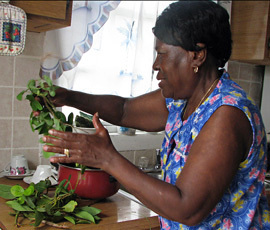 Many Bahamian bush teas were drank for their medicinal purposes, by steeping the bush in water and allowing it to boil for a few minutes to help extract the plant goodness. 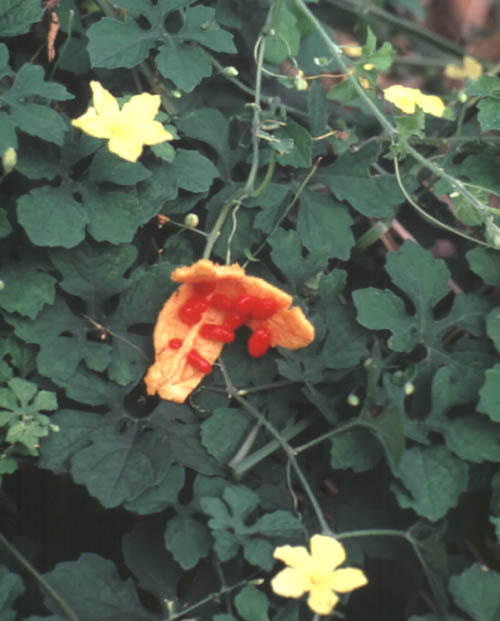 Here is a booklet of sorts that goes into a bit more detail about Bahamian Bush medicines. I’ll post a few more at the bottom. Bush teas were picked fresh from the plant and brought to a boil. There were also some teas that probably do have medicinal properties but they are also very tasty to drink. Lemongrass, star anise and dill are a few of my favorites having had them from my great-grandmother and grandaunt who grew up in Cat Island. My great-grandmother is in her 90s, going strong and in her sound mind. Must be some pretty good tea! Hanging from the cupboards above our stove would be orange peels hung to dry before boiling to make tea. The only “tea bags” in the house were Lipton because all others were straight from the bush or plant. The great thing about bush teas besides their amazing health benefits is that many of them are found growing in the wild so they’re basically free and organic! I can’t wait to move back home to find make some of these teas! Getting back to one’s cultural roots is as easy as making tea!